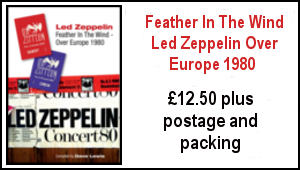 Tight But Loose » Blog Archive » BBC RADIO 4 AND BBC BREAKFAST TV AIR INTERVIEWS WITH JIMMY PAGE & ROBERT PLANT AND TWO EXTRACTS FROM THE FORTHCOMING LED ZEPPELIN REISSUES! BBC RADIO 4 AND BBC BREAKFAST TV AIR INTERVIEWS WITH JIMMY PAGE & ROBERT PLANT AND TWO EXTRACTS FROM THE FORTHCOMING LED ZEPPELIN REISSUES! BBC Radio 4 and BBC Breakfast both aired exclusive extracts from the Led Zeppelin Reissues this morning – along with interview clips with Jimmy Page and Robert Plant. The BBC Breakfast TV clip included some excellent comments from BBC 6’s Matt Everitt as he listened to extracts from Keys To The Highway/Trouble In Mind and the alternate Whole Lotta Love on the BBC Breakfast Time clip with Rebecca Jones. Boy, was I excited watching this – all the waiting is going to be more than worth it – and what a time to be a Led Zep fan – yet again ! As for the clips…Keys To The Highway/Trouble In Mind sounded a sparse playful bluesy jam with just Jimmy and Robert evidently from the same session of the Hats Off To Roy Harper recording. Now if hearing that doesn’t make your pulse beat that bit faster, well to coin a phrase ‘’you ain’t coolin!’’. Utterly sensational…. 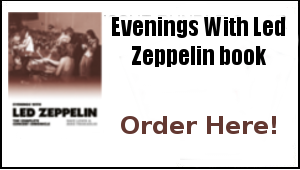 Here are some of the quotes via the BBC News link: Legendary rock group Led Zeppelin have released two previously unheard recordings ahead of the reissue of the band’s first three albums in June. The two tracks – blues classic Keys to the Highway, recorded in 1970, and an early version of the famous hit, Whole Lotta Love – are among dozens of tracks which the band will officially release alongside the reissues. The companion discs will feature alternative versions of songs, works in progress and live performances, all recorded at the time of the original albums. The tracks, like hundreds of others, had been carefully catalogued but then locked away in the the band’s archive for decades. Guitarist Jimmy Page, 70, has spent two-and-a-half years combing through the vaults, listening to hundreds of quarter-inch tapes before choosing the best material. Page says the new material “deserves to be heard” because “it’s performance art.” It will give fans the first chance to eavesdrop on some of the band’s key recording sessions. Keys to the Highway/Trouble in Mind, to appear on Led Zeppelin III, was recorded in 1970 at the Olympic Studios in Barnes in south-west London, about half an hour after Hats Off to (Roy) Harper. But it was never released. “It was a particularly prolific time,” says singer Robert Plant, “where we were learning about each other’s capabilities. Page promises “lots of surprises” on the three reissues. The final three will be out in 2015. But he has scotched rumours that there will be versions of songs featuring bass and keyboard player John Paul Jones on vocals. For a band that broke up in 1980, following the death of the drummer John Bonham, interest in Led Zeppelin remains intense. The surviving members reunited seven years ago for a concert at London’s O2. 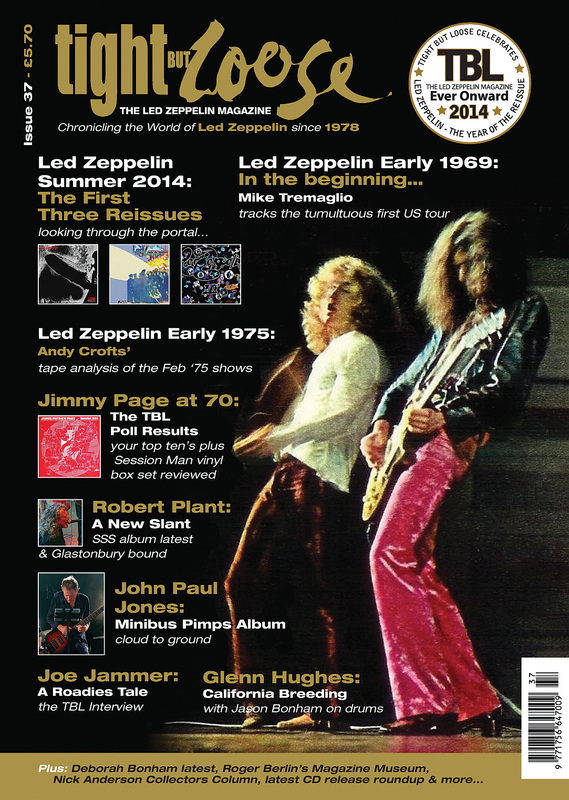 TBL 37 : Further exclusive coverage of the Led Zeppelin Reissues and a whole lot more can be found in the forthcoming issue of the Led Zeppelin magazine issue 37. 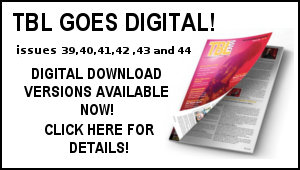 For a limited period only, the forthcoming new issue of the Tight But Loose magazine issue 37 will be available at a special bargain price of just £3.00 plus postage –that’s nearly half the cost of the standard cover price!. This really is an unmissable issue -therefore we would love to welcome you on board -and at a special bargain price! Until next time…Keep listening, keep reading… Dave Lewis/Gary Foy – April 23rd, 2014. Should we be surprised by Robert Plant’s complete disregard for his former bandmates? He turned his back on his friends years ago and his reluctance to do a reunion tour, which both JPJ and JP would do in a heartbeat, is incredibly selfish and self-centered, If Cream could bury the hatchet and do a short tour, then Zeppelin should be able to do so as well. The real tragedy in all of this is that everyone involved is getting older. Someone needs to remind Robert that he once declared that Zeppelin was a “force for good.” The world is such a mess right now that we could all use a bit more “good” in our lives. is this information I have been told is correct or not ? Any replies to this question are appreciated. 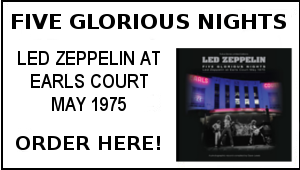 Dave, much thanks for keeping our community in the loop of all things Led Zep as I await seeing attention towards the Mighty Led Zep in my music shop once again this summer! Although, as many of us would have hoped for a World Tour; I have moved away from that possibility. I once luckily bumped into RP at an airport in Texas in the early 90’s. RP was alone, no minders and I approached and RP actually engaged me for about 5 minutes. Although RP engaged me, I thought after words that he talked to me only because I did not ask “THE QUESTION”. Looking back today, that lucky encounter I had, answers my burning desire to see the band back on the road. I have always thought that RP considers Led Zep, JPP’s band and that has defined RP’s reluctance. The final three will be out in 2015… so when will the middle three be released…? This year or next…? With regard to another reunion, I think Plant has made the right call. The legacy is now intact thanks to the 02 show, why risk damaging it again. 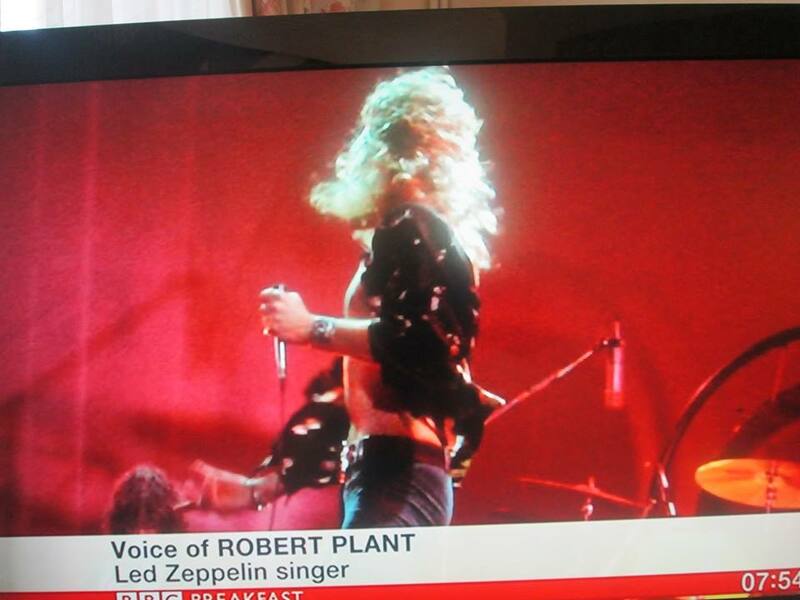 I don’t think Plant is dissing the past, he just has perspective on it, having forged a decent solo career. Page is more nostalgic, because if he’s being honest with himself, he’s never fully moved on from Zeppelin. His best post-zep playing was ironically with David Coverdale, a Plant clone. Instead of waiting for Plant to pick up the blower after 2007, he should have done a solo album, even if it was just instrumental or experimental. He’s always been interested in the avant garde, a properly done art-house album might have been good. I have often cited Jeff Beck, one of Page’s peers, as an example of what Page could have been like. Although I acknowledge that Page is more of a traditional songwriter, with a singer, and Beck is predominantly an interpreter and an instrumentalist. Anyway, I’m looking forward to these reissues, they maybe the last footnote on Zeppelin. I hope not. How about some post-1973 live releases!!! So, the possibility of SSS producing material anywhere near this……zero ! What a missed opportunity Robert to assert yourself at the ‘ Most High’ table once more….real shame. Come on Capricorns, make something happen. Once again I felt deflated by Robert’s failure to give any real credit to the former band. 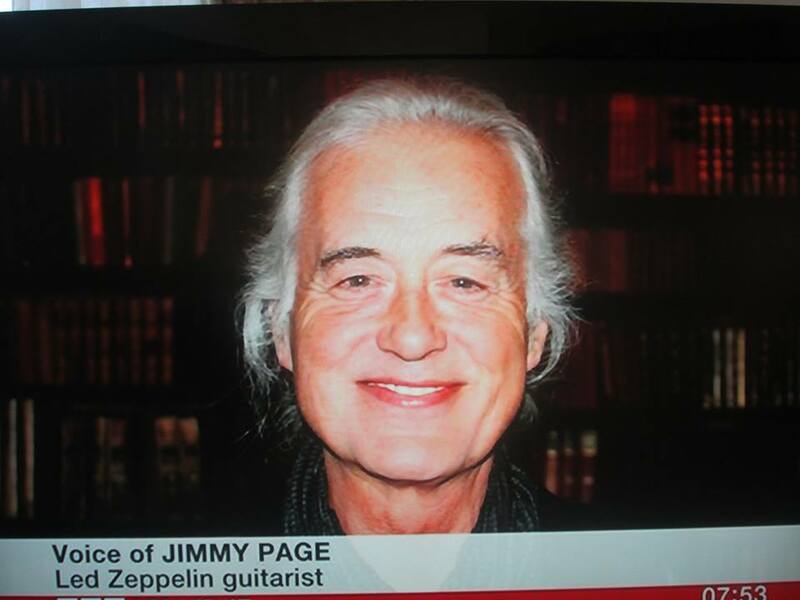 He seems reluctant to give real acknowledgement to Zep. It may be modesty or does he not want to be “uncool”. Very much like the interview he did for BBC2 repeated a couple of weeks ago on BBC4 he calls Zep “it” almost like he can’t say the words. It leaves me a bit disappointed. I’m thoroughly looking forward to the releases mind you. I don’t know how many more times this is going to happen, I suspect not many, so we all make the most of it. Great to hear Pagey in such good form. John Paul for his take on things.The quiet one is still being ignored! I love how Jimmy in his interview talks in the present tense – “We are good”…yep, you are! 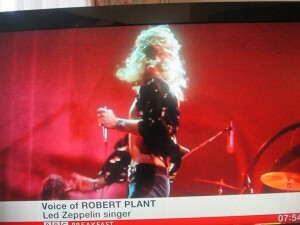 And what a time to be a Led Zep fan indeed! For us at our end of the earth it will be our winter of great content!.Thanks for keeping us so well informed, Dave. TBL will be essential informative reading over the next few months.